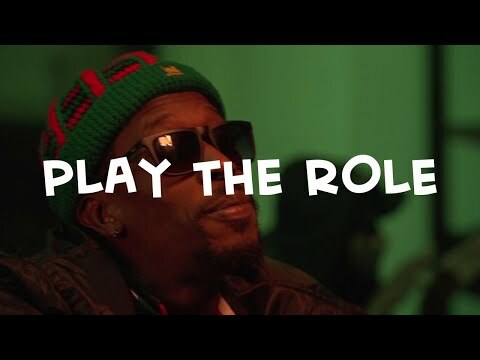 "Whatever your art is, just do it to the highest standard"
Royal Sounds are UK roots reggae’s rising self-contained band. Based around the nucleus of multi-instrumentalist producers, Gyasi and Ajani Crosdale (with vocals from their cousin Ras Hannibal and friend Ras Sempah) the group has drawn local and international acclaim that recalls the Rasites in the 90s. The sons and grandsons of Caribbean settlers in London, bearing music and culture in their genes, Royal Sounds have graduated to the same European festival circuit as Jamaican bands such as Raging Fyah, and Earthkry. This year they issued introductory album, Burning Inspiration, via Bristol’s Sugar Shack Records (although they recently announced their departure from the distributor in favour of self-releasing their music). 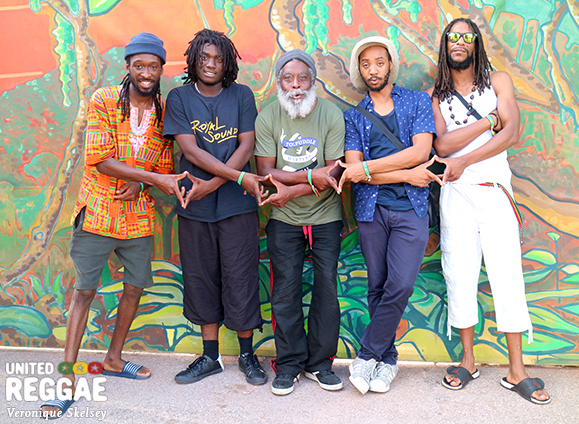 United Reggae met the group in Spain as they were gearing up for an epic show closing the Lion stage at Rototom Sunsplash. They talked about how they formed, their aspirations and their forthcoming second album with UK dub impresario Mad Professor. Despite the daunting 5.45am start, their Rototom debut pulled an enthusiastic crowd and won new fans – thanks to an energised performance that band and revellers alike will remember. Where in London are you from and how are you related? All: We’re from all different parts. AJ: Me and my brother are from the north side, Edmonton, Tottenham. Hannibal: I’m from the East side, Walthamstow, Hackney. AJ: And Sempah is extended family! Were your parents born in London? Gyasi: Both our parents were born in Jamaica. So they came over when they were mid age kind of thing. We were born here but we still go back to Jamaica quite regularly. My mum is from Westmoreland which is the country and our dad is from Kingston. Gyasi and AJ, your dad, Ras Alkebu, played with Prince Lincoln and the Royal Rasses who are one of the greatest reggae groups ever. Gyasi: Yeah he played lead guitar in Prince Lincoln and the Royal Rasses for a number of years. They toured all around the UK so that’s where we get our teaching from. The Rasses originally started in Jamaica with Lincoln’s own band but as soon as Prince Lincoln came over to England - I think this was 1992 maybe - our dad was in the first and only band for them. So when did your dad come over? AJ: He’s been here since the late 60s. I know he told us that he was in one of the first reggae bands over here Nyah Shuffle. He used to be a journalist as well when he first came here. He was an entertainment journalist. He used to write for the Gleaner. So was Lincoln around when you were kids? AJ: Yeah I remember when they were getting together the 21st-Century album – which was his last album. I remember when him and my dad used to come to our house. We were living in Broadwater Farm at the time. They used to come there and they would jam. I was very young at the time but I used to hear them! Gyasi: I was too young to remember. AJ: Yeah they were jamming out songs together. What about your family Sempah? Sempah: My mum is from Guyana and my dad is from Jamaica. My mum first came over here long before I was born. My musical background is I have some family members who play instruments and are singers but nothing direct like Prince Lincoln in the Royal Rasses. Over the years I have linked up with a lot of different artists and producers and obviously with the Royal Sounds so it’s been for five years and it’s growing. I would say the five-year stone is nearly there. Were you all raised in Rasta? Gyasi: Yeah our father was Rastafari so we grew up into that culture from young. From birth it’s always been. Hannibal: No I wasn’t growing up into it. On my side of the family my mum she was born in the UK and my dad was born in Dominica. My mum is originally from Jamaica. But me growing up I was more into rap music, hip-hop. I listened to that for the majority of my life until 2011, 2012 I when I started hanging around my uncle and his gallery and his music. That was the first time I actually got involved with composing live music and ever since then it has just been a great experience. Gyai and AJ - how did you to learn music? Was it from your dad? Gyasi: Yeah from about the age of five, my dad taught me how to play the guitar. I used to have musical lessons every Saturday. So I got into it from five and we did our first live show called Kwanza, the African Christmas. AJ: Yeah, the same from when young. I remember Ras used to sit us down to get to know our instruments. My first instrument was the piano every Saturday. I used to hate it at the time. Every Saturday having to do two hours piano lesson. Then I remember when I was 17 my dad taught me how to play the bass. I had the bass in my hand and I was like “yeah this is what I love”. It’s been like that ever since. So do you two play multiple instruments? Gyasi: Yeah on the production side. On the Burning Inspiration album I played the drums and the guitar so I got into a bit of multi instrumentation. AJ: And I play the piano and the bass on the album and most of the productions. Royal sounds formed in 2012. What inspired that decision? AJ: Yeah that’s when we put the name together. In December 2012 we decided we wanted to have Royal Sounds. But officially it was 2013 that we met Ras Sempah for the first time. Hootananny, that was our first show and we decided that this was a unit that we could push forward and ever since we’ve just been going. Gyasi: Yeah the Hootananny in Brixton. Big up Cecil Reuben for that. He invited us. That was our very first show performing as Royal Sounds. 2012 was “Jamaica 50” and there was a resurgence of reggae bands coming out of Jamaica– was there a spirit of roots music in the air? Gyasi: Yeah that was part of it, but mostly it was the dream. Because me and Ajani used to do sessions working for other artists such as Frankie Paul and Gappy Ranks. 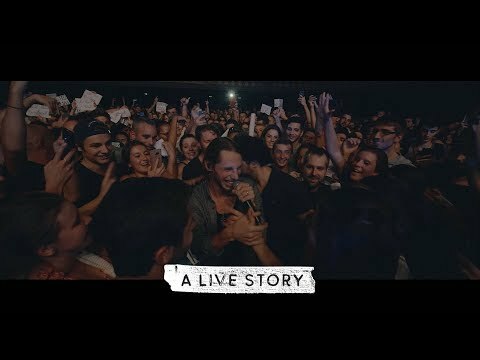 We went to Switzerland with Gappy, for our first European show and that inspired us. We thought we could actually do this for ourselves rather than backing up an artist. Sempah: And me, I’ve always had that vision. So when we linked we all had the same vision. Because I’ve been writing from when I was young, singing, doing little stage shows here and there, open mics and stuff. So when Royal Sounds actually linked up as one that was the dream man! We just set into motion. Hannibal: I remember when I was in the gallery. The first ever track I ever made was Situation. I literally made that on the spot man! After I made it was the next phase in the manifestation. 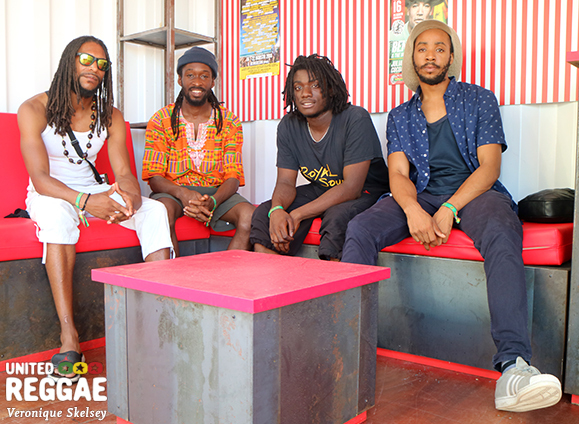 Were you influenced by any of the Jamaican band revival groups like Raging Fyah and Dubtonic Kru? Hannibal: Now we see these other artists from other places coming up. And it’s not just Jamaica - other countries they’re coming with the roots of the message. That’s when we knew and “yes this is it”. Why is this happening, all of a sudden? It had to be done - the works. Why do you think so many reggae bands around the world decided they don’t want to just back other artists? Gyasi: Because everybody wants something for themselves really. I know our reason is because, doing session work there is only so much enjoyment you can get out of the music. When you see your own original music you can have a bit more fun with it. You have the freedom to experiment with music. It’s something for yourself that you can work on. There have been some line-up changes to the touring band over the years. Gyasi: Yeah we started off with Carlalou One Drop on drums. A great reggae drummer from London. We had the son of Aba Shanti, Ashanti Selah, on keyboards and before we even had the great Phil Ramocan who is a classical pianist. Currently we have the drummer called Rim Bim and Keith Mindlink on keyboards. You made an EP project with Dennis Brown’s daughter, Marla Brown that didn’t get released. Gyasi: Yeah Marla she lives round the corner from us. AJ: Yeah we linked up and we did some work with her but at the time we were concentrating on Burning Inspiration and she was doing her thing. So it kind of clashed and we didn’t get to fully focus on it. Gyasi: Yeah for many years. But we only found the title recently. We were working on it for a very long time. How did you link with Sugar Shack Records as a distributor - who have quite a track record supporting British reggae bands? Gyasi: When we finished the album we decided we needed somebody to distribute it. So we searched online for who was releasing good reggae records. We approached maybe at least 10 different companies and then quite a few got back. But we just decided we thought Sugar Shack was the best for it. Did you listen to any of the Sugar Shack bands like Black Roots and Talisman? Gyasi: Not at first. I didn’t hear about many of them really. I knew about Black Roots before. But we found out about Tallisman and that’s one band that I like. What would you say are the driving messages in your music? Gyasi: Just reach your dreams. And whatever your art is, whether it’s music or anything - just do it to the highest standard. AJ: I think the message in our music is that there is a lot of stuff going on in the world right now that is negative. Negativity seems to be the heightened thing in the world especially in the youth of our generation. Music is being used against us. Music is a powerful thing. It influences the soul. Hannibal: They use it to manipulate. AJ: Our message is we can use music to spread a positive message whether it be love, fighting for your rights, togetherness. It’s not just one message - we show them that it’s many. AJ: Even me, as a young boy growing up, you go through things as a boy before you know how to be a man. I know it’s easy to be led astray when you don’t have the right guidance, the right role models and the right things to look up to. So we’re just trying to do our part so that even if we reach just one young person, that young person will talk to another. Hannibal and Sempah, what are your approaches to writing? Are you pen and paper people or top-of-head people? Sempah: Me personally I write. Sometimes it comes to the top of my head and I’ll write it down or I’m just in the studio and it will flow. But the majority of the time I like to sit down and structure the music. Hannibal: Well me, mine’s the head. At first it was because I used to be influenced by other artists that used to do it. But then I wanted to deliberately not write. So it became so natural to me so if I hear a rhythm it’s like “if you like something that much you’re not going to forget it. That’s like something I’m very interested in, so why am I going to forget it? Why is it going to leave my head?” If I think of a bar in my head I’m not forgetting that. It’s a test of the quality of the material. Exactly. So, everything, all my works, I keep it. And I feel writing from it is just raw - raw ideas coming right from your head straight to the vocal. Who would each of you say your biggest influence is musically? AJ: For me personally it would probably be our dad because other than playing for Prince Lincoln in the Royal Rasses he’s got a lot of music himself that he never released but it’s within us. He is very musical. He doesn’t just listen to one style of music. We incorporate that in our music a lot. Gyasi: Adding onto what Ajani just said, I would say Bob Marley & The Wailers. Because there is so much you can learn from their reggae music. If you want to study reggae you’re studying all of Bob Marley‘s works. That’s my influence. 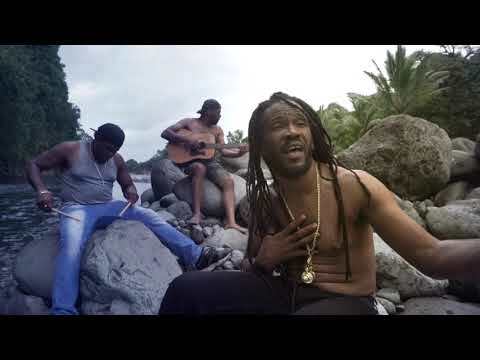 Sempah: When it comes to reggae, Burning Spear and Steel Pulse have always been something that I was drawn to and grew up on. Sizzla is something that I grew up from when I was a young age. Sizzla’s Black Woman And Child. I remember listening to that from early. Also coming into the dancehall, Bounty Killer and certain artists that set the way like Stitchie Papa San. It’s a mixture. You’ve been playing some big festivals this year - what have been your highlights? Gyasi: Just seeing how the people outside of England respond to Royal Sounds music. Because we might go to Europe where they don’t understand English so strongly but we still have songs they can catch along to which means we’re doing something right. Gyasi: We were at Boomtown Fair on the same bill. We’ve seen them quite regularly and it’s good. I think Earthkry are a great band in the authentic Jamaican way. Sempah: And Samory I is bad! You don't choose it - it chooses you! So what’s next for Royal Sounds? AJ: We’ve got a new a lot of new music in the pipeline. A lot of videos that we are looking to release before the end of the year. We also have a second album that is in the process alongside Mad Professor, Ariwa Records. It’s halfway there. By the top of the year that should be in the peoples’ ears. How did you link with Mad Professor? AJ: I’d done a couple of sessions with them where I spoke to Mad Professor and his son Joe. Threy said they’ve been looking at our music for a while. They love our stuff and they wanted to do a project with us. Obviously we know about their music, their sound, everything. Us together would just be great and it’s come together. We’ve started the music already and it’s mad. What’s happening in terms of touring now the festival season is over? Gyasi: We’re planning to set up our own tour in January. We are definitely looking to announce some dates. Sempah: It’s all in the pipeline so just follow the Facebook and Instagram and keep the link. What are the challenges and advantages of being a UK reggae band in the internet age? AJ: I think being a band today from the UK the challenge is still there. Probably not as much as it was back then but it still there. Obviously there is a lot of competition and everyone looks at Jamaica as the hub of reggae music. So you have to work a little bit harder on your music to get the same rankings. 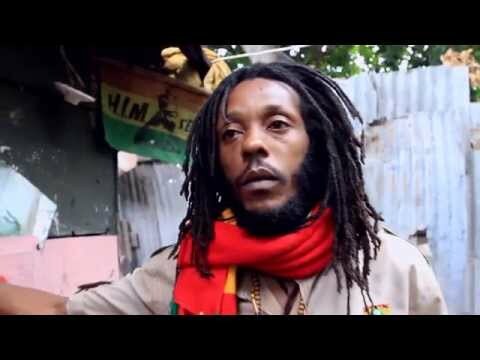 Sempah: Even Jamaican artists find it hard themselves. AJ: Yeah so you have to stand out. You have to keep the thing alive and stand out with it. Hannibal: But the main thing is the works. No matter what, you have to put it out there. I was so excited when this first happened but as I’m getting more serious about it I’m thinking “yo you’re just gonna have to go forward. You can look back only rarely.” The album is out there, I love the album but I’m thinking about the next one. AJ: But advantage-wise I’d say technology is making it easier for us to get the music out there to everyone. We can put it on the internet and get worldwide in countries that have never seen us or heard our music. There are challenges as well as advantages but you just have to work with it.